The Atlantic County Utilities Authority (ACUA) and the Rutgers Cooperative Extension of Atlantic County will hold a comprehensive two-day training that goes beyond the basic “do’s and don’ts” of backyard composting on February 22 and 23. Master Composter Meetings will be held at the Atlantic County Utilities Authority, 6700 Delilah Road in Egg Harbor Township, from 9 a.m. – 3 p.m. each day. 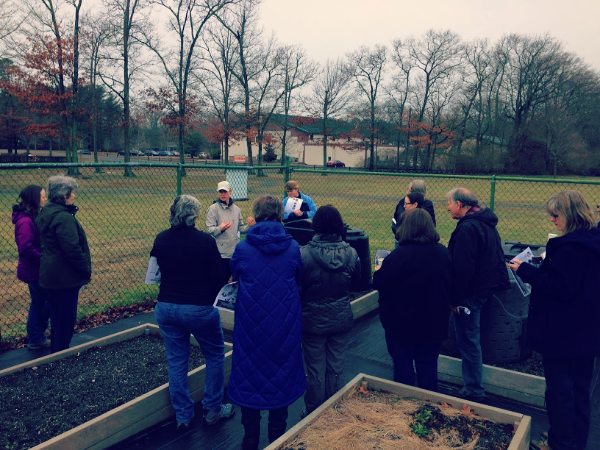 The Atlantic County Master Composter Training class provides a lively mix of speakers, classroom learning, and real experience making and using compost. The class also includes off-site visits and a hands-on project exploring techniques for putting vegetative waste to good use. Composters of all experience levels and backgrounds are encouraged to attend – this class is a great opportunity to exchange knowledge or learn how to get started in your own backyard. The cost for the two-day training is $40. Class size is limited, so registration is required and first preference is given to Atlantic County residents. Across the country, food waste is one of the largest components of municipal waste or garbage. The average American throws away about 20 pounds of food each month. Composting food scraps reduces the amount of waste that is sent to the landfill while producing a valuable end product; a rich organic soil amendment that adds nutrients to gardens. 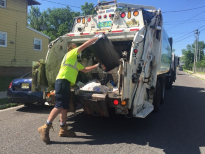 Atlantic County’s program is based on the successful Master Composter program in Ocean County, which offers in depth instruction and prepares participants to educate the public. To become a certified Master Composter, Atlantic County participants are required to complete 20 compost-related volunteer hours, where participants can share what they learned through community outreach opportunities. For more information and to register, visit: www.acua.com/compost or call (609) 272 - 6950.